This session will discuss the importance of play within the development of our cities and communities at different scales. 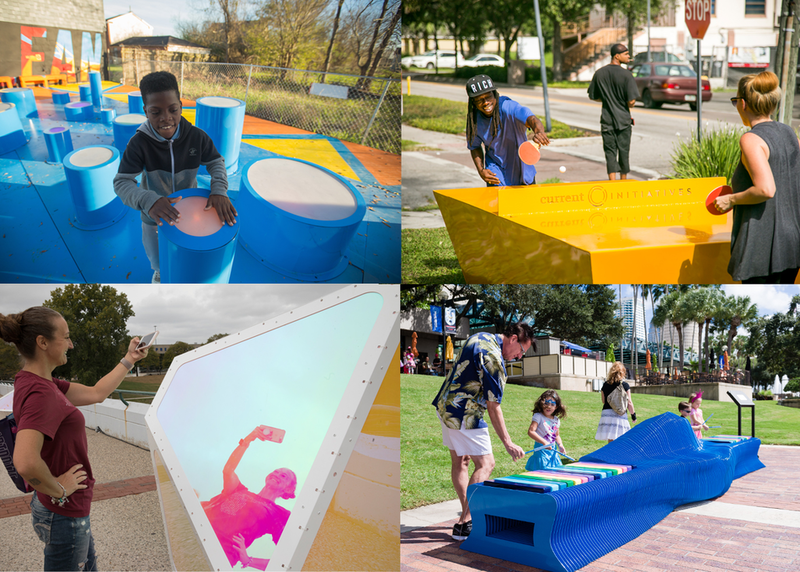 The session will be discussing the idea of how play can exist in everyday spaces, and encourage people to think about these spaces that could become PLAYces: like a crosswalk, bench, building facade, sidewalk, bus stop, or just the everyday space in-between. Looking at how these often once boring or underutilized situations can turn into stimulating, creative outlets for social interaction and community activity for all demographics through play.